"Paw Paw" treatment for cancer - finally, after 30 years of scientific research . . . This natural remedy kills the cancer cells that chemotherapy leaves behind . . . 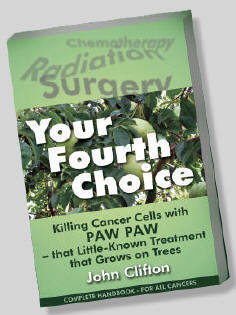 Chemotherapy, Radiation, and Surgery are not your only options. Here is . . . The Paperback and E-book are now available here. 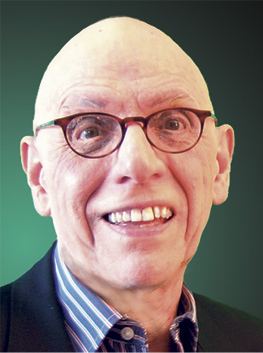 "The major components of paw paw are compounds known as acetogenins. They prevent the cell from making ATP, an important energy source. In lab studies, the extract was shown to kill cancer cells that were resistant to commonly used chemotherapy drugs such as Adriamycin, and appear to be more toxic to cancer cells than to normal cells." "Here is how we successfully treated my wife's 'incurable cancer'. . . by cleaning up the drug-resistant cancer cells that defy chemo."